Dust is one of the most irritating annoyances that a building occupier can endure. To address this problem, the source of the dust must be identified, and the appropriate solution introduced as soon as possible. Dust walked or carried inside: Dust particles can accidentally be introduced indoors from our shoes, our clothes, our pets and things we carry inside, tracked in, creates dust. 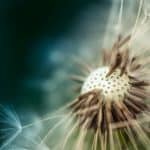 Blown in: Pollen, industry, fire and smoke, vehicle exhaust particulates, wind, and other organic debris can also be blown in if allowed through open windows and doors, through building gaps and cracks. Attract and trap dust like magnets: Clothes dryers, top of fridges, electronics, soft furnishing fabrics, carpets, air conditioning and heating ducts, vents, roof cavities and sub floor basements, wall paper, knick knacks and stuff! Predominantly 60% of house dust originates from outdoors either tracked or blown in. 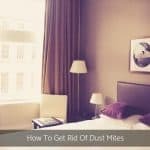 As new homes become air tighter, and more heavily electronic, the dust problem is an increasing one as it becomes trapped, makes the building more dirty, and attracts more dust. Similarly, dust in the Jenolan Caves, located south west of Sydney in the blue Mountains, was shown to be both blown from the surface and tracked in mainly by visitors and considered a major threat to the caves’ environment according to Michie (1997). The best way to distinguish dust type is by source. Different source combinations provide good indicators of exactly what substance is contained in a given dust. 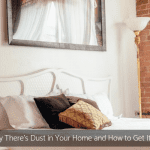 There are so many sources of dust, so I have broken it down into outdoor and indoor causes. Naturally derived dust contains most likely organic dust particles caused by soil erosion, decomposing leaves, pollen and other plant matter, bacteria, viruses, mould, fragmented cockroach and insect parts, bush fires and household fire places. 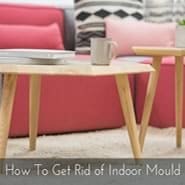 Whilst indoors, in any building whether residential, commercial or lifestyle, dust contains human skin flakes and hair, dust mites and their excrement, food crumbs, pet and unwanted pest dander, rodent excrement, cigarette smoke, papers and books. Organic dust particle contaminants caused by water damage, mould, bacteria and viruses. So lets break it down, excuse the pun! This dust is more than likely from inorganic materials, check the area around the building for the offending sources. Heavy metals such as lead, arsenic, asbestos dust, volatile organic compounds from agricultural DDT, herbicides, pesticides, fertilizers, vehicle exhaust, air pollutants and lawn mowing. Where there is no evidence of organic matter, it is likely to have been caused by inorganic sources. This dust combination is caused by mining, smelting, other industrial processes, emissions from combustion of fuel, coal, gas and oil. This dust combination indicates fabric in the mattress, pillows, bedding, curtains, blinds, flame retardants, upholstery and carpeting are the culprits. Fibres, dryer lint, building insulation. Dust particulates in the frying and barbequing smoke, photo copiers, fax machine, computer towers. Once you’ve got a good idea of the cause of dust, it’s time to test the theory and confirm the source of the problem. If an organic dust source is suspected, try wiping a damp microfibre cloth over hard surfaces and use a vacuum with a power head and HEPA filter and organic dust will come away easily. Simply rinse out the microfibre between surfaces or between rooms. Inorganic dusts, on the other hand, react best to the micro fibre cloth and vacuum process as well as operating a good quality air purifier. The best method is best applied to all dust, and see if it is removed or decreases. Outdoor dust is best addressed by wiping your feet at the front door, then mopping hard surface floors with microfibre or vacuuming carpeted floors. First, remove all shoes before entering, everyone who occupies this building including guests, to ensure nothing enters the building. Besides, if you have carpets, they will last longer. 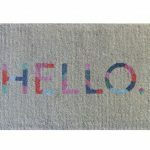 Invest in good quality doormats inside and outside the doors. This can stop a lot of the dust from ever entering your home. Check doors and windows to make sure seals are working well and have not deteriorated. Check for holes and splits in the exterior surfaces, sub floor and roof cavities, to ensure that dust blown in to these areas doesn’t pull into living spaces. When wind hits these exterior surfaces, the materials will take the big hit. 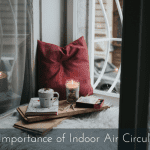 That means, your indoors will be protected over time and might see a more drastic change in dust levels, which is a good thing — thank you, maintenance. Stop tiny particles of dust, pollen, outdoor particles and keep them out of your home or office. With anti-dust screens, you can live in a dust free, cleaner environment. Why? We’ve just mentioned seal up! Remember the Volatile Organic Compounds in the dust list of ingredients – they’re tiny residual particulates accumulating and potentially a health hazard for indoor occupants. What? Now you’re saying close windows! Remember pollen, those of you who are sensitive definitely will. Close windows at dawn and dusk as pollen is the most active at this time of day. You also want to check your cleaning maintenance schedule as in cleaning and clearing away clutter from the surfaces. Dust can often introduce a mind of its own, find its way to the least used places, and your cleaning system will start removing dust away from the interiors. That means, your ventilation capacity might be less than adequate as well. So be sure to check these areas around and under the building. 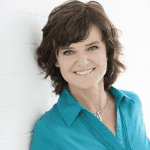 Of course, moisture will add more dampness to your building interior than what’s needed. Open curtains and windows, let that lovely, natural sunlight in. If you have an excess of moisture to your indoors, you can dry it a little by opening windows. Just let the air in the space, dry until it’s back at the comfortable level. You would need to be concerned about your corresponding damp areas on the ceilings and walls inside – these are greatly affected by potential mould over time and clings to dust. To address this problem, the source of mould must be identified and the appropriate solution introduced as soon as possible. Soft furnishings such as bedding, lounges and carpets will add more dust mite activity to your interiors than what’s already there. Keep beds unmade, and like mould care, let that lovely, natural sunlight in, ventilate and dry the space by opening windows. This will keep dust mites at the comfortable level. 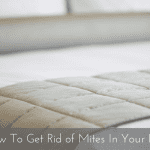 You would need to be concerned about covering your pillow, mattress and doona – these are greatly affected by dust mites over time which feed on dust, skin cells, moisture, bacteria, they multiply and defecate in all your soft furnishings. For multiple or large areas of dust, the air should be purified. It’s so easy for you to utilize them. This will allow the filter to start pulling air off the floor of the room, where the dusty particles are, and circulate the clean air back to the room. Remember always 8 to 10 hours a day, preferably during daylight hours, for best results. If your air purifier system is not working properly, or you’re not changing your filter system regularly, then you are at high risk of contaminated air. 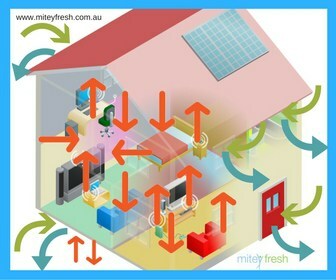 Your filter system constantly cleans the air in your space. Without it, you’re left with dusty, contaminated air that could become unhealthy. You want to make sure you purify with the proper amount of air for your size space. Sometimes you’ll get dust after ventilating. This is common and will increase over time. Just keep your windows open or filter running and it should maintain to normal levels. 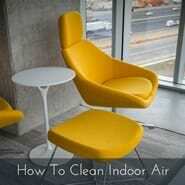 Want to learn how to clean indoor air in a room? You wouldn’t neglect brushing your teeth and rinsing your mouth, so don’t neglect your indoors. 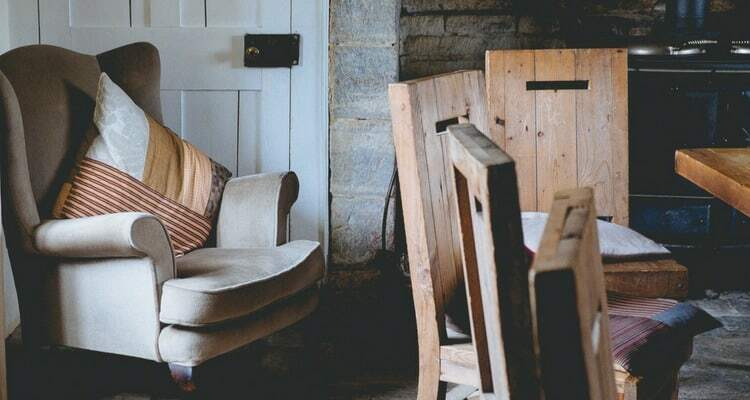 Follow along with these easy steps to successfully freshen your indoors and spend less time dusting and more time living ! Once the space has been air purified, thoroughly damp cloth wipe down all surfaces, then let the room’s air circulate for at least eight hours. Continue to damp cloth wipe the settled dust intermittently, and keep the vacuuming process going until the dust is finally gone, for today at least! Man-made sources usually require professional intervention. The first step is to chat with a Building Biologist to determine exactly what kinds and levels of dust and contaminants are plaguing your indoors. After that, the Building Biologist can recommend …. Add the tips and solutions according to on site visual inspection and air sampling results, damp cloth dusting to help the process along. Should the damp cloth dusting and vacuuming not do the trick, you may have to use a targeted air purifier to remove contaminants, also available here, to attack the indoor air directly. Preventing dust is as important as any other facet of indoor air care maintenance. To keep organic dusts from forming, make sure to wipe your feet or remove shoes at the front door before entering at all times. Make sure all windows and doors are open, to keep the ventilation working properly. Keep your room clean by regularly vacuuming (manually or with an automatic vacuum cleaner) and skimming the surface of the flooring. The best preventative measure against all kinds of dust is to test the air regularly for the presence of contaminants, and address it before it takes hold. If your home is prone to outdoor dust contamination due to vehicle exhaust or emissions from industry, be sure to use an air purifier with a high quality HEPA filter as part of regular indoor air quality maintenance. These units capture particles in the air, preventing them from binding to indoor surfaces where you sleep, eat and live. In the case of a bush fire problem or windy days, it’s worth noting that an air purifier with carbon filter can also capture smoke and fumes. Carbon captures the gases, which irritates eyes, nose and skin and breathed into your lungs. Different amounts of carbon are customised for the purpose. 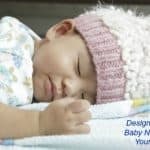 Together we bring about healthy indoor environments, create rooms that provide calmness, healthy sleep, relaxation and restored energy for you and your family. We will create workplaces that provide ideal personnel attendance and elevated productivity.